Never give up on my dreams. The Lord will provide support if you don’t know, then maybe you should ask the Lord to help you. The universe works in it’s own awesome way. 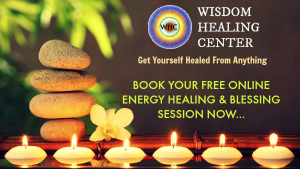 Send us mail at wisdomhealingcent[email protected] for any queries. We are looking forward to hear from you!